Wow!!! 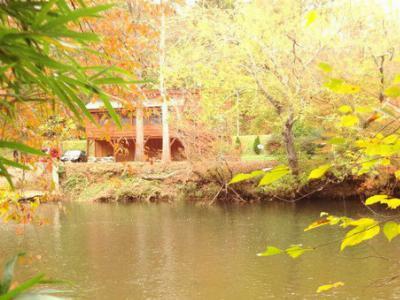 Riverfront Cabin in Excellent Condition! 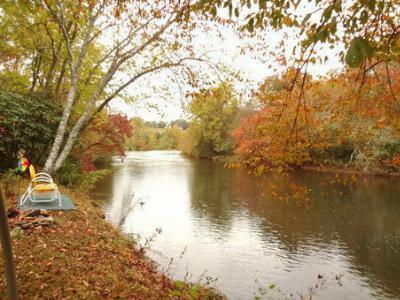 Fish, Tube and Kayak from your own property. Move in Ready with Central Heat and Air, Vaulted Ceilings, Hardwood Floors, Living Room overlooking the River! Partial unfinished Basement for storage, workshop and Washer/Dryer. Relaxing views of the river and mountains with very easy access. 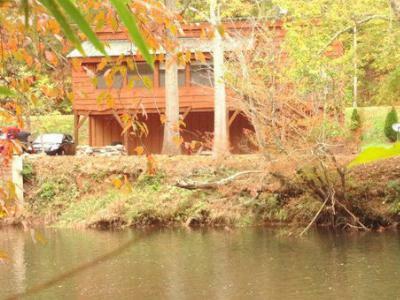 This is a rare opportunity to have a Riverfront Cabin at an affordable price. Firepit for evening campfires and enjoying s'mores with family & friends. 2 Bedrooms, 2 Baths. Bring your Fishing Pole, Kayak and Tube...Jump In! Schools servicing this area include Iotla Elementary, Mountain View 5-6, Macon Middle and Franklin High School all within 20 minutes of this home.